Shopping malls in China have started offering “boyfriend-sharing” services. This is one of the more eye-catching examples of the country’s all-encompassing shared economy. 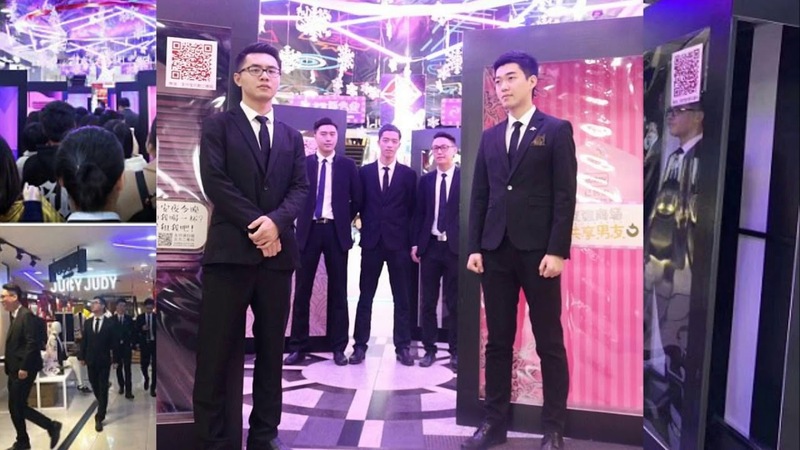 The launch of one such service at a mall in the northern province of Hebei on Thursday was reported by Chinanews.com, which published pictures of young men dressed in smart jackets and bow ties standing inside display frames. A sign said that it would only cost one yuan (RM0.60 or 60 sen) to hire them for 30 minutes. Another sign showed a QR code that customers could scan to pay for the service. “Shared boyfriends offer services such as holding bags, taking photos, chatting and shopping,” the mall told its customers. Consumers in China can already hire everything from bicycles and baby strollers to umbrellas with a swipe on their phones and the new "boyfriend" service is already catching on. Malls in Hainan and Shandong have also reportedly started similar services in the past few months. A shared boyfriend working at a mall in Haikou city, on southern Hainan island, told Chinanews that his customers – usually women in their 20s – sometimes ask for his advice when they have difficulty in choosing what clothes to buy and also want to take selfies together to post on social media.